NWA Democrat-Gazette/J.T. 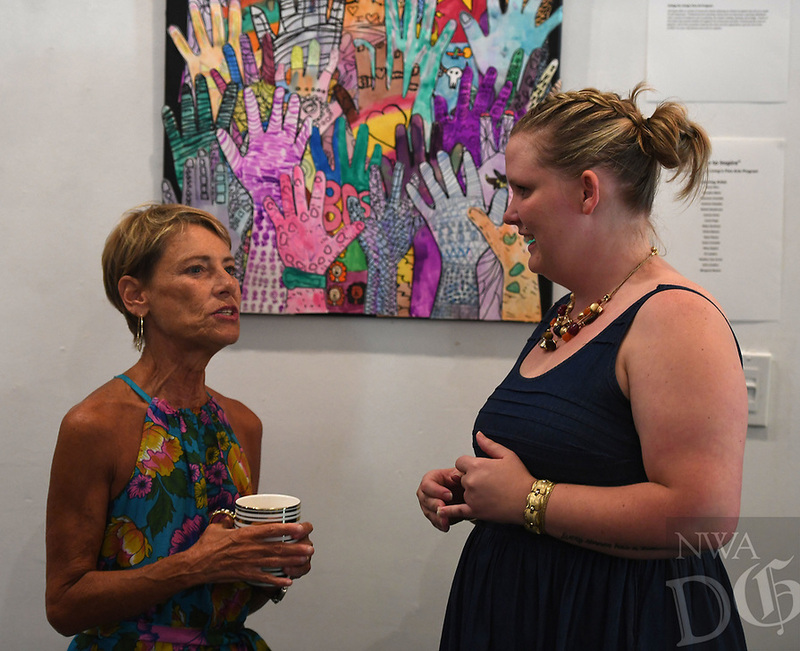 WAMPLER Gwynne Gertz of Fayetteville (LEFT) visits with Sophia Dugwyler Thursday Aug. 2, 2018 during a reception for the artists of Life Styles latest exhibition, ÒConspire to InspireÓ at Stage 18 in Fayetteville. Life Style artists worked in groups towards the goal of uniting their personal styles to create something greater together. Life Styles Inc. supports individuals with disabilities in reaching their full potential as contributing members of the community. Dugwyler is one of four art teachers at Life Styles.